We felt it was time we entered some industry awards – we’d never entered before, so what do you do? 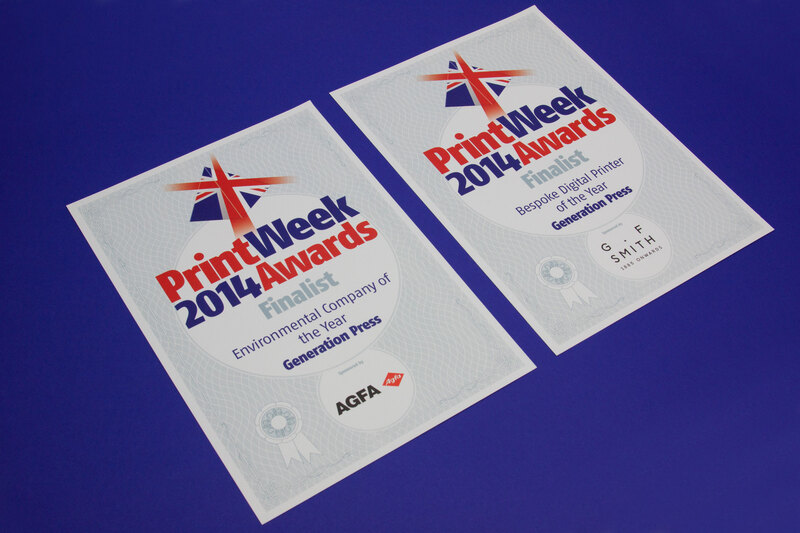 I know, let’s enter the Print Week 2014 Awards, the biggest awards for the printing industry: The Print Oscars. Not expecting too much, we put our entry together and sent it off, not forgetting to include an entry for Bespoke Digital Printer of the Year. We’d done so much in the short time since we introduced our new HP Indigo digital press, it had to be worth a punt. So off the entry went – one quality category (digital) and one business category (Environmental Printer of the Year). And a few weeks later, back came the news – we’d been selected as finalists for both. Typically for us, we immediately regretted not entering more categories. But seriously, it’s a great feeling to be recognised for the environmental side of our business – especially for Zoe, who has done so much to get us where we are today (combining vision, motivation and an amazing tolerance for box-ticking).